The Joy of Youth first appeared in Harper's New Monthly Magazine (December, 1907). Emmeline Ames, going down the village street that winter afternoon, was conscious of a little uncomfortable lump in her right shoe. She was also conscious of an innocent bravado of shame as the lump worked from the hollow of her instep toward her toes. A soft red, and a delicious, silly smile, overspread her face. The lump was composed of some dried sprigs of the plant called boy's-love, or southernwood. Emmeline believed firmly in the superstition concerning it. She was sure that a girl with a sprig of boy's-love in her shoe would marry the first boy whom she met. In summer, when the plant with its long, gray-green, aromatic leaves flourished in the garden, she often wore a sprig in her shoe, and she had secretly pressed some in her own particular books, in order that she might be able to try the charm in the wintertime. Emmeline had too much credulity and imagination to be in a perfectly normal state; or, on the contrary, she may have been too normal, with all her human instincts dangerously near the surface, and as prone to injury as her great-grandmother's eggshell china teacups. Emmeline's mother inferred that it must be desirable for a little girl to be a First Principle; still, she felt a little uneasy. One day, after Miss Jennison had returned to her college, she asked her sister Martha, Mrs. John Adams, what she supposed Abby Jennison had meant. Martha was rocking comfortably with her second little girl in her lap. The first little girl was playing on the floor at her feet with six dolls, a very small horse, and a very large woolly lamb. Martha looked smilingly over the golden downy ball of the baby's head. “She meant what most people mean who live on paper and in words,” said Martha Adams. “Of course she is a little too nervous,” said Martha. “But what would one give for a child without nerves? Emmeline never begun to have the nerves that my children have.” She spoke as if nerves were a distinction, and her sister said no more. She had imbibed a hazy idea that being a First Principle meant being nervous, and that being nervous might be desirable; still, she remained somewhat uneasy. Had she begun to know what went on within Emmeline's little blossoming mind she would have been distracted. Her own child was to her as a sealed casket filled with mysterious processes which were quite beyond her scope. Emmeline reflected much upon topics which her elders considered as being remote from her furthest imaginings. For instance, that sprig of dried southernwood in her shoe would have been incredible to her mother and aunt. It was very cold, and the snow, which was trodden hard, gave out silvery creaks underfoot. The fields lay in wide frozen levels of a uniform pearl gray. There were no blue lights; the sky was clouded. The trees stretched out their limbs with a curious stiffness. The bushes, in which were still tangled a few dry leaves, looked brittle. Emmeline came to a large bush, and a swarm of sparrows flew out of it, as if the dead leaves had been assailed by a sudden wind. She walked on, gazing ahead for the Boy whom she should know for her future husband by virtue of that sprig of dry southernwood in her shoe. Emmeline, as she went on, became very much afraid that this test would end as had former ones. She had been singularly unfortunate in her experiments with boy's-love. 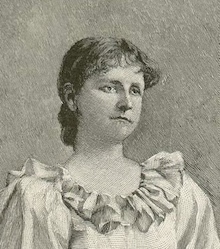 Her most intimate friend, Anita Lord, had met Johnny Woodfield while trying the charm, and Emmeline, who had included Johnny in her own list of possibilities, had straightway loyally eliminated him. After that it had seemed as if she were fated to meet Johnny Woodfield when she herself was afield with southernwood aromatically crushed underfoot. Now she saw him approaching, and sighed. It did seem hard that she should inevitably meet a boy who was destined to become the husband of her dearest friend. She spoke rather stiffly to him and was passing on, but Johnny stopped her. “What's your hurry?” he inquired, affably. “It's a corking cold day, ain't it?” he said at length. “Awful,” returned Emmeline. She looked up in Johnny Woodfield's face. It was a handsome boy face. She realized that had it not been for Anita, she might — but she shook her head impatiently. She made a motion to pass, then Johnny spoke to the point. “Say, Emmeline,” he blurted out, “don't you want to go to the concert with me tomorrow night?” It was the first time that Johnny Woodfield had ever invited a girl to go anywhere with him, and it was the first time that Emmeline had been invited. It was a tremendous moment for both of them. Emmeline, however, was a girl, and she had her wits about her. She knew exactly what to say, and she said it beautifully. “You aren't mad, are you, Johnny?” she said. “Good evening,” returned Emmeline. She walked on rather sadly. She had no regrets concerning Johnny, since she firmly believed him to be Anita's property, but she was, of course, facing an irony of fate. It was not long before she faced another. She saw some one approaching, and her heart leaped. Was it —? A young man jauntily swinging a tightly rolled umbrella came toward her. Emmeline did not raise her eyes until she met him. She was almost sure. When she did look up she encountered the handsome, patronizing eyes of Mr. Lionel Bates, who was going to be married in the spring to Miss Ellen Sylvester. Emmeline knew Mr. Bates. He was a lawyer and had had business dealings with her mother. “How do you do, little one?” said Mr. Bates as he passed. He did not even consider it worth his while to raise his hat. Emmeline passed on. She reflected that if a grown-up young man could know what a girl of fourteen really thought of him, he perhaps would not swing his umbrella quite so airily. She walked on a little farther. She had almost given up when she saw the Boy advancing. This time she knew. When they met she glanced quickly at him, disclosing a flash of brilliant blue under gold-fringed lids which immediately dropped upon paling cheeks. She was sure the Boy's eyes had met hers, but he did not look away so quickly. She could feel his earnest gaze upon her face. She knew that he turned and looked after her. She wondered if she were walking straight. She felt the boy's-love in her shoe. Her heart beat so loud that she did not hear the resonant creak of the snow. She did not feel the bite of the winter wind upon her face. A sleigh passed with a loud jangle of bells. She did not notice it. She had met the Boy. She had no doubt. She did not know who he was. He was a beautiful boy. He was tall and straight and slender, and he had a handsome dark face. Emmeline had met him with a sprig of southernwood in her shoe, and she knew. It made no difference to her that the superstition was to the effect that a girl would marry the first one whom she met. She obviously could not marry a boy who was the property of her dearest friend, or an engaged young man, or an old gentleman who could not tell her from one of his own great-grandchildren. “I don't feel a bit cold,” replied Emmeline. “I suppose she likes to knit them,” Emmeline remarked, dreamily, as she walked back with Anita. Emmeline did not hear what Anita said. She was thinking of the Boy. Then suddenly she thought she must say something to her friend. “I met Johnny just now,” she said. Emmeline, little, slender, high-browed girl, looked at her with surprise. “Why, Anita, you look real strong!” said she. Then they entered the store. Emmeline made her purchases, and Anita bought white knitting cotton. Then she and Anita said good-by to each other and parted. Emmeline walked home through the deepening winter twilight. She gazed ahead with her innocent, serious blue eyes. She had a listening air, as if she heard music. She was very happy. When she reached home she went into the sitting room, where her mother and Aunt Martha and the children and her little dog Spotty were all grouped before the hearth fire. Spotty sprang at her, yelping with delight. He tried to reach her beloved little face with his affectionate, quivering tongue. “Have you almost perished with the cold, dear?” asked Emmeline's mother. “I am not a bit cold,” replied Emmeline. She removed her wraps, and sat down with the others before the fire, which cast a strange crimson glow upon her head. Emmeline sat still, smiling a strange, inscrutable smile. Her eyes, very blue and bright, seemed gazing within herself into long vistas of joy. Little Sally was fast asleep on the bearskin rug. The firelight was playing over her, and she also was smiling, in her sleep, with ineffable mystery. The baby in Aunt Martha's arms laughed and crowed, and held out little imploring arms to Emmeline, who immediately arose and took her carefully, with tender kisses. The baby cuddled up against her shoulder when she sat down again, and Emmeline smiled over the little head, that same smile of inscrutable joy. Mr. John Adams, Aunt Martha's husband, came in. “Whew! but it is a cold night! It seems mighty good to get home,” he said. He kissed Martha, and patted the children's and Emmeline's heads. “That girl is going to make havoc with young men's hearts before very long,” said he. “She is growing prettier every day,” assented Martha. Mrs. Ames smiled proudly but a little uneasily. “Don't put such ideas into the child's head, John,” she said. “There is no need of putting in things which are there already,” said John, shrewdly. Then the door bell rang, and he had to go into another room to see a man on business. Mrs. Ames regarded her sister with a troubled expression. “You don't think that baby has begun to even think of such things?” she said, piteously. The next morning, when she woke, her first thought was of the Boy, and a great ecstasy followed the thought. She looked at her window and saw the snow drifting past it like a white veil. If it had been pleasant she might have gone to the post office for the morning mail and she might have met the Boy; now Sydney would go. However, she was not troubled; the thought of the Boy was enough to fill her with strange content. She was very happy all day. She sat beside a window, looking out often at the white storm. She had some embroidery in her lap, but she did not work much. She watched the snow fall and thought of the Boy. It was a very severe storm. The wind blew and the snow drifted in the yard with curling crests like waves. The trees stood as if knee-deep in eddying hollows of snow. It was strange, but the fiercer the storm became the greater became the spiritual exaltation of the little girl with first love blossoming in her heart. The storm and her happiness increased by a similar ratio. She would not have been as happy on a day when the weather was commonplace. She hardly spoke from morning until night. She had never, in all her life, been so happy. Even the baby's crying when the light began to wane did not disturb her. The baby was cutting teeth. Usually Emmeline was troubled when the baby, of whom she was very fond, cried. Now cutting teeth seemed a part of the universal joyous scheme of things. Emmeline took the baby, and danced her up and down and comforted her. When the child finally fell asleep on her shoulder the sleep also seemed a part of joy. Emmeline watched the men clearing the road and Sydney heaping up the snow in great ridges on either side of the front walk. She did not go out that day, and missed more chances of seeing the Boy; still, the thought of him was entirely sufficient to content her. She walked fast, for there was a cloud in the northwest which might mean a thundershower, the light was waning fast, and she wanted to reach Anita's house. She had come to an unsettled place bordered by fields when she heard a hoarse, drunken shout behind her which filled her with panic. She ran, but as she ran she glanced back. She saw a huge figure coming after her at a staggering run. She knew immediately who it was — Mr. Ticknor. He shouted again, and she understood. “Violetty! Violetty!” shouted Mr. Ticknor. Emmeline knew that he was mistaking her for his daughter Violetta. She had heard a great deal about Mr. Ticknor's brutal treatment of his family. She reflected that since Mr. Ticknor mistook her for his daughter Violetta he might, if he caught her, be brutal to her. She ran on. The hoarse shouts gained in intensity. She heard the name of Violetta coupled with alarming threats. She made out that she was to be beaten within an inch of her life. Her slim legs skimmed the ground as lightly as a bird's, but, alas! Mr. Ticknor could cover twice as much at a jump as she. He would certainly have caught her had it not been for his frequent departures from a straight course. As it was, Emmeline heard the heavy, padding footsteps nearer and nearer. She saw at a quick glance what might be her only chance. She had reached the field in which stood the little corn house where she had fastened Spotty four years ago. She turned abruptly, and made for the little structure. She flashed through the ranks of fodder corn like a frightened bird. She heard a louder shout of rage from Mr. Ticknor. She did not look around. She wondered, as she ran, if she remembered correctly that, besides the wooden bolt on the outside of the corn-house door, there was a lock and key. If she were mistaken, and it was a padlock to be fastened only from the outside, she was lost. She hoped that she remembered rightly and that there was a lock, although it was unusual in such a place. When she reached the corn house she saw that it had an old house door which was equipped with a heavy lock and key. Emmeline dashed in. She slammed the door. She laid her hand on the key which was in the lock. There was a moment of breathless agony; the key turned very hard. But at last it clicked, and Emmeline sank down on the dusty floor. She realized that she was faint. There was a singing in her ears, but through the singing she heard Mr. Ticknor's raging voice. Then suddenly it ceased. After a while Emmeline got strength enough to rise and stand on tiptoe and push the little sliding window a crack aside. No one was in sight. She tried to turn the key back, but she could not move it at all. It was hampered. Then she knew that she was a prisoner in the corn house until some chance rescuer should arrive. The one window was high in the wall, and too small for even a girl of Emmeline's proportions to crawl through. Emmeline tugged again at the key. She blistered one hand, but it was all useless. Then she stood on tiptoe again and peeped out of the window. Presently a buggy drawn by a white horse passed, and she did make a dismal little outcry, but the buggy rattled rapidly past. Emmeline sat down on a pile of last year's corn. She did not weep. The situation was beyond tears. She could not sit still long. She was at the window again. She saw in the dim light a figure pass along the road. Then she realized that she could not possibly know who it was, that she might be rushing from one danger to another. She realized that she must remain where she was all night! — that she must make up her mind to it. She thought of the party at Anita's. She knew that her relatives would have no occasion to worry because she did not come home; that Anita would only think that something had detained her, and would not worry, either; that nobody would institute a search for her until the next day. Then she heard a familiar little sound which revived her. It was Spotty's small, far-reaching bark. The little dog came across the field like a flying shadow. First he leaped at the window, which he could not reach. He whined; he called his consternation, his sympathy, with all the tones in his faithful dog voice. All night long he barked and howled at intervals. If it had not been for Spotty, Emmeline considered that she could never have endured such a night. The little dog's scratchings on the door and his commiserating cries were all she had to sustain her. She sat miserably on the pile of corn, and waited for morning. She soon realized that there were mice, if not rats, in the corn house. She had frequently to move about to keep them quiet. Finally the sun rose. Then she took up her station at the window. People began to pass, on the road, walking and driving. Emmeline, whenever she thought she was safe in so doing, cried out, but her voice did not carry well and nobody heard her. Spotty also made frantic dashes at everybody, but he was simply shooed away. Nobody understood his dog language. It was ten o'clock before help came. Emmeline saw a slim, straight young figure swinging along the road. Spotty made one of his desperate dashes. The figure stopped. Then Emmeline saw the dog, mad with joy, careering back to her prison, and running in his wake the Boy. When the Boy reached the corn house he saw, in a little window high in the wall, a beautiful little pale face fluffed around with yellow hair against a background of amber dusk. “What is the matter?” said the Boy. Emmeline explained in little gasps as well as she was able. The Boy immediately rose to the situation. He was a strong Boy. He put knee and shoulder against the corn-house door and Emmeline was free. “You poor little soul!” said the Boy. Emmeline was so weak she could hardly stand. “Here, take my arm,” said the Boy. He was not at all awkward with a girl, although he was a boy. Emmeline took his arm, and the two went through the corn, every blade of which was strung with a row of dewdrops, like a lily-of-the-valley, and Spotty raced ahead with joyous yelps, and returned to circle with leaping bounds around the two. “That's a nice little dog,” said the Boy, when a lull in the explanations of the situation came. “Poor little soul!” said the Boy, again. “I don't know what your name is,” said the Boy. “I am sorry your aunt Edith died,” said Emmeline. “She was just like a mother to me,” said the Boy, simply. “By sight,” replied Emmeline, and she spoke with a little awe. Mrs. Elizabeth Russell was a very wealthy woman, the only really wealthy woman in the village. She lived in a most beautiful house. She had traveled. She had wonderful guests from cities during the summer. She mingled very little with the village people. She was popularly supposed to be very proud, although she was said to be charitable, and very pleasant “when you knew her.” She had once called on Emmeline's mother, and Mrs. Ames, very particularly dressed, had returned the call, but that was when Emmeline was very young. She had seen Mrs. Russell only across the church or driving, but she had always regarded her with a sort of feudal admiration. “I think your aunt Elizabeth is beautiful,” she said, warmly. “Yes, she is,” assented the Boy. While Mrs. Ames and Aunt Martha hugged Emmeline and exclaimed over her, she and the Boy, between them, told the story. Then Emmeline and the Boy were in the house at the breakfast table. It seemed that, although the Boy had already eaten one breakfast, there was something about Annie's waffles and coffee and omelette which surpassed his aunt's French cook's efforts. Emmeline was blissfully watchful of the Boy while he ate. She herself ate, but did not seem to taste anything except what the Boy ate. “I wonder the dear child looks so well after such an awful night,” Aunt Martha said to Emmeline's mother. Mrs. Ames looked happily at Emmeline's pink cheeks and the blue delight of her eyes. “I wonder she isn't down sick,” said she. The two women looked approvingly at young Guy Russell. After he had gone and Emmeline had been put to bed, they agreed that he looked as if he might grow to be a splendid man. “I suppose he will have all his aunt's money, too,” said Mrs. Ames. Then she looked ashamed of herself. “But that is nothing compared with his being such a good, honest, innocent boy,” she said. “His aunt Edith Sloan was a splendid woman, from everything I have heard of her. It is easy to see that the boy has been brought up by a good woman. He shows it.” Mrs. Ames had a dreamy look in her eyes. Her sister smiled a little furtive smile. They both thought Emmeline, upstairs in her little room, was asleep, but she was not. She was too happy to sleep. She was one of the very few on the face of this earth who dream and keep the precious crystal of the dream unshattered by the shock with reality. It was a week after that that Mrs. Elizabeth Russell gave a party for her nephew, and Emmeline was invited. Mrs. Russell sent her carriage for her. Emmeline had her first silk dress to wear. It was made over from one her mother had worn when a girl. It was white silk sprinkled with little silver dots. Emmeline's hair was tied with a great white bow, and she had white shoes, and she looked, her mother and aunt thought, the prettiest thing in the world. “I am glad the dear child doesn't know what a beauty she is,” said Mrs. Ames, after the carriage had rolled away. “She hasn't an idea,” said Martha. Neither dreamed that Emmeline knew perfectly well how she looked, and that an innocent rapture because of her beauty in her silver-dotted gown seemed to perfume her very soul. It is more beautiful than beauty itself to be innocently conscious of it, and to value it more for the sake of the love of another than for self-love. Emmeline reflected how pleased the Boy would be with her appearance and she tasted that pleasure instead of her own, exactly as she had tasted the breakfast the morning after he had rescued her from her prison. There was a palm room in Mrs. Elizabeth Russell's house. An hour later Emmeline and the Boy were in there. They stood under some great spreading fronds and looked out of a wide window at a wonderful sight. The lawn was all dotted with swinging Japanese lanterns, and electric lights made strange shadows which seemed alive. The night looked like another world, full of mysteries of beauty unfolding upon beauty, and joy upon joy. Each saw more than there really was, because each saw with the other's eyes. They looked out at the fairy night; then they looked at each other. “You are the most beautiful girl I ever saw in my whole life,” said the Boy, with blunt fervor. He spoke as if he had lived ages. The girl made no disclaimer. She believed him. She gazed back at him with radiant delight in his appreciation of her. The window opened like a door. The Boy threw it wide, and took Emmeline's hand with a caressing touch in his hard, boyish one. “Let's walk out there,” he said, stammeringly. He and Emmeline went out. They strolled arm in arm along a broad gravel walk, and finally sat down under a tree swarming with brilliant lanterns like butterflies. They were quite alone. Most of the guests were on the other side of the lawn, where refreshments were being served and where the orchestra played behind some flowering bushes. The Boy put his arm around the girl. “I love you,” he whispered. Emmeline said nothing. She felt as if some divine fluid were coursing through all her veins. “Don't you love me?” said the Boy. “Then we are engaged,” said the Boy. Emmeline nodded. She looked at him, and her face of love, and ignorance of love was fairly dazzling. The Boy kissed her again. Then they sat still. The Boy's arm was around the girl and her head on his shoulder. Both tasted the uttermost joy of the present. Happiness stood still in their heaven. Add The Joy of Youth to your own personal library.